Home Health Care / Home Nursing - common methods of home care: health diet, hygiene rules, features of care and treatment for bed patients, measurement of temperature, pressure and pulse, reception of medicines. Often, patients are return home in condition, when they need not only care, but also help with the continued pain, surgical wounds, the need for treatment drugs, or when they need help to learn how to live with a plaster cast or crutches. Such patients for a long time feel bad, it is difficult to get used to the new conditions of life. How is the right care? - The creation of comfort. Then the patient feels comfortable, in him appears optimistic and confident in the successful outcome of the disease. It should be particularly noted that the effectiveness of the care of the sick person requires not only certain skills, but also a sympathetic attitude. After all, physical suffering, sickness creates a human anxiety, hopelessness, irritability towards the medical staff and even families. Placement. It should be bright, spacious, and, if possible, isolated and protected from the noise. When any disease abundance of light, fresh air and a comfortable temperature in the room, will have a beneficial effect on humans. Temperature. The optimal indoor climate must be: temperature in the range 18-20 °, humidity of air no more than 30-60%. It is essential that the room is not cooled off in the morning. Cleanliness. The room, in which is the patient, is necessary to keep clean. So, cleaning is necessary to make not less than twice per day. Room patient must be isolated from the street, traffic and industrial noise. It is recommended a reduction the loudness of radios, televisions. Transportation. A very important point. If a person is seriously ill, it must be transported with care, in a special chair, stretcher or wheelchair, while avoiding shocks. Before to shift the ill patient on the bed, you must first check her willingness and the availability of personal care items and supplies bedside. Change of linen. At this procedure for the patient do not need create awkward postures, of stimulated muscle tension, not to hurt. - Strict bed, in which forbidden even to sit. - The bed in which patient can move in bed, but forbidden to leave her. - Semi-bed, at which allowed to walk around the room. 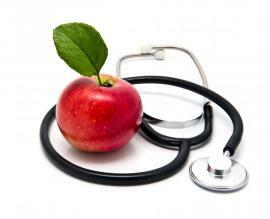 - Common mode, in which, as a rule, the patient's physical activity is not limited substantially. other problems that may cause worsening of metabolism and improper functioning of organs and systems of the whole organism. 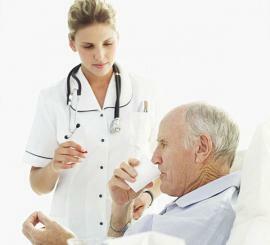 To help in the care for the sick, can nurses specializing in the provision of certain type of services. There are nurses who provide care at home, patronage nurses who attend patients and advises on health issues, nurses, specializing in the care of patients with mental illness and their families, as well as the nurses engaged in special care. How to find a dementia Care Home?